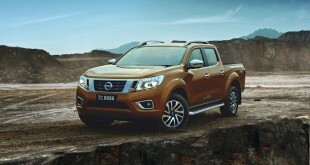 Edaran Tan Chong Motor (ETCM) is proud to reveal the New Nissan Grand Livina. 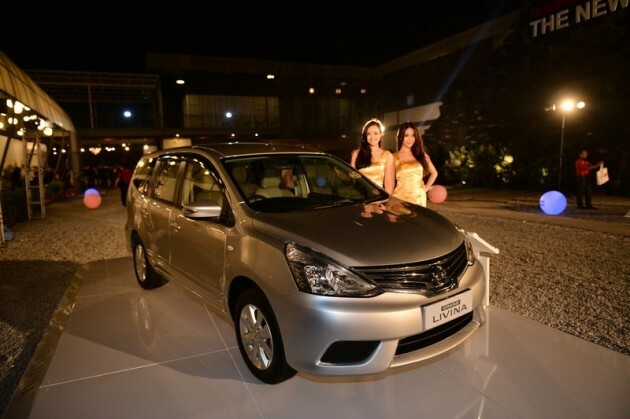 The Nissan Grand Livina first debuted in December 2007 and has been receiving overwhelming response as the best-selling non-national brand Multi Purpose Vehicle (MPV). 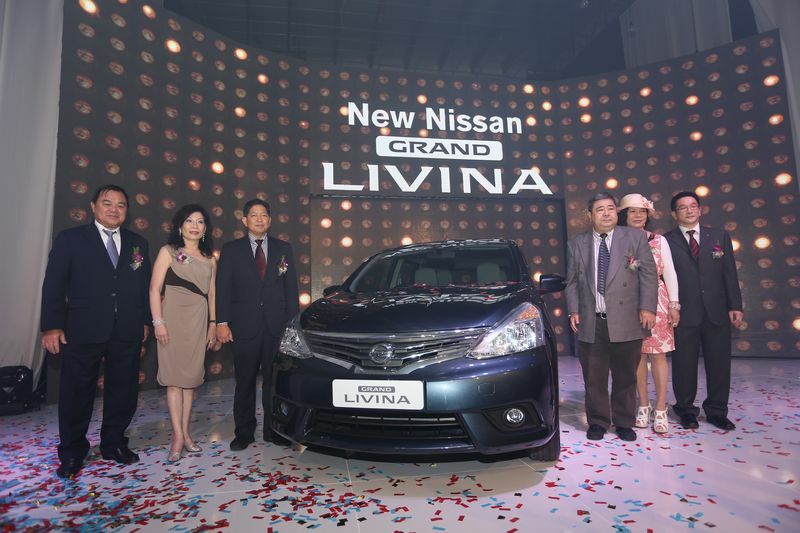 Since its first launch in 2007, there are now more than 65,000 units of Nissan Grand Livina on Malaysian roads. Exterior-wise, the New Nissan Grand Livina has a fresh new look for the front and back, complemented by new V-spoke alloy wheels, door mouldings and wing mirrors with integrated LED indicators. The combination of the new chrome grill with fine sculptured horizontal panes, aggressive lines of the front bumper and expressive headlamps creates the impression of “elegant dynamism”. At the rear, the new tail-lamps now expand horizontally across the tailgate showcasing rear reflectors for a wider, sportier look. Nissan’s Intelligent Key (i-Key) system, which allows for true keyless entry and start is now available in the New Nissan Grand Livina. With i-Key, New Nissan Grand Livina owners are able to experience a higher level of convenience and security by virtue of not having to operate the remote control when entering or exiting the seven-seat MPV. The new two-tone interior colour scheme with revised fabric is among the highlights of the New Nissan Grand Livina. The premium image is further supplemented by a new Fine Vision Meter cluster with Multi-Information Display (MID), which shows essential vehicle information such as fuel consumption and remaining range. Additionally, the new three-spoke steering wheel now incorporates control switches for the new Wide 2DIN audio head unit and MID. The controls are also illuminated thus making its operation easier at night. What has not changed is the Grand Livina’s best-in-its-class comfort, which is achieved through well though-out seat design and the clever utilisation of space. For example, only a single action is required to lower the rear seats completely flat without having to remove the new large-size headrests. The New Nissan Grand Livina is powered by the proven HR16DE or MR18DE fuel-efficient engines. These compact and lightweight, all-aluminium alloy 4-cylinder engines with valve timing control technology deliver responsive performance, strong refinement and top class fuel efficiency. The Electric Power Steering (EPS) helps to provide ease of maneuverability with reduce fuel consumptionSafety has also been upgraded with seat-belt pre-tensioners and load limiters for the front passengers, along with compliance with the latest UNECE crash tests. 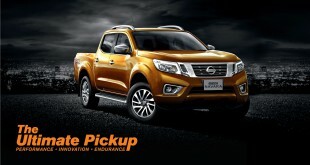 Dual front SRS airbags are standard along with Nissan’s Zone Body Construction, Collapsible Steering Wheel, Electronic Brake-force Distribution (EBD), Brake Assist System (BA) and Anti-Lock Braking System (ABS). Recognising that today’s frenetic lifestyle is characterized by continuous distractions of modern gadgets and entertainment opportunities and hence increased isolation, Mr. Tan shared that the New Nissan Grand Livina is geared towards the theme of Togetherness and Happiness. “We recognise the New Nissan Grand Livina as the best platform for gathering family members together and providing a comfortable space to communicate with each other. Life is a journey, and it’s our loved ones who are the greatest source of happiness. In the Nissan Grand Livina you can spend quality time with your loved ones as you journey effortlessly along Malaysia’s roads,” he said. The New Nissan Grand Livina is available in 1.6L Manual, 1.6L Auto and 1.8L Auto. Optional accessories and IMPUL packages are available in all variants of the New Nissan Grand Livina. A choice of five colours includes the All-New Graphite Blue, Diamond Black, Bronze Gold, Brilliant White and Tungsten Silver. The New Nissan Grand Livina is available at all Nissan Showrooms Nationwide with a price, starting from RM 86,880 on-the-road, with warranty of 3-year or 100,000 km (whichever comes first). ETCM targets to sell 2,500 units of the New Grand Livina by the end of 2013. 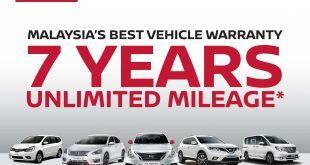 Customers can enjoy paying a monthly instalment of just RM 599 (subject to terms and conditions) for the New Nissan Grand Livina. 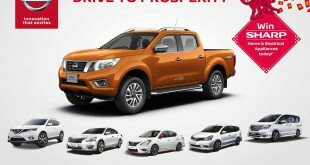 Bookings are now available at Nissan Showrooms nationwide.